Klaasmeyer has said that his team is committed to the full POWRi schedule, and that “winning rookie of the year would be nice, but we’re trying to not go after points, if it works out that way, it would definitely be great.” See Tucker and his team back in action at Tri-City Speedway on Friday, July 24th and at Saint Francois County Raceway on Saturday, July 25th. 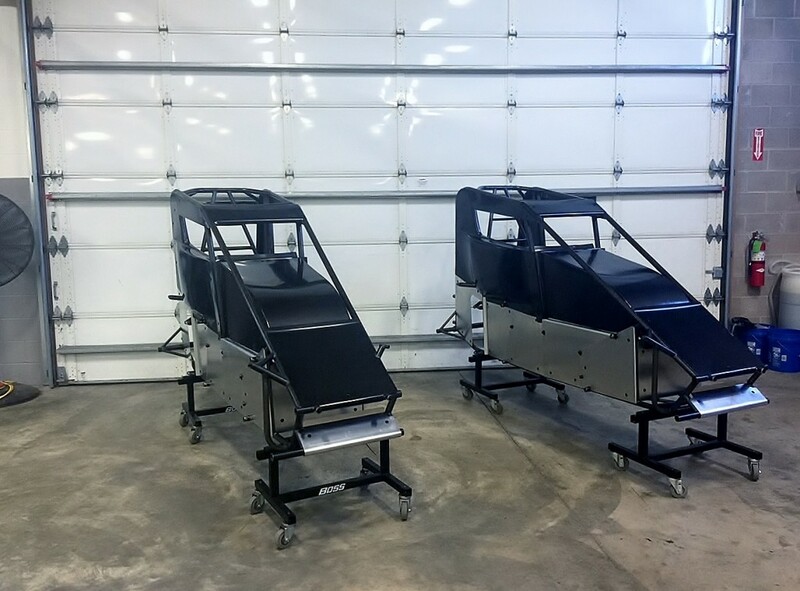 For information on the BOSS Chassis, visit www.bosschassis.com or visit a local track near you! Belleville,IL – We had five BOSS Chassis Midgets and three BOSS Chassis Micros in attendance at Belleville, IL Sunday night with the POWRI racing Series. 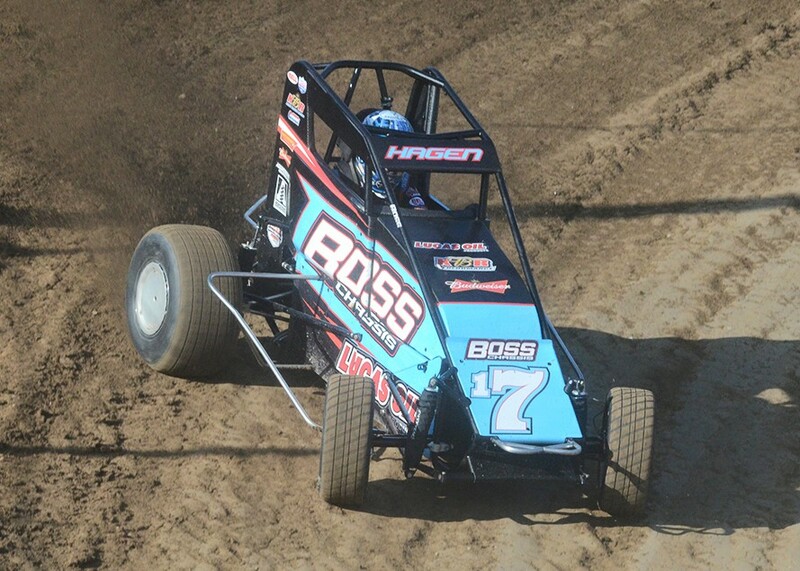 BOSS Chassis had a strong weekend with Hagen posting the highest finish in the POWRI Midgets with a Second and Dereck King finishing in the Fourth position from eighteenth. 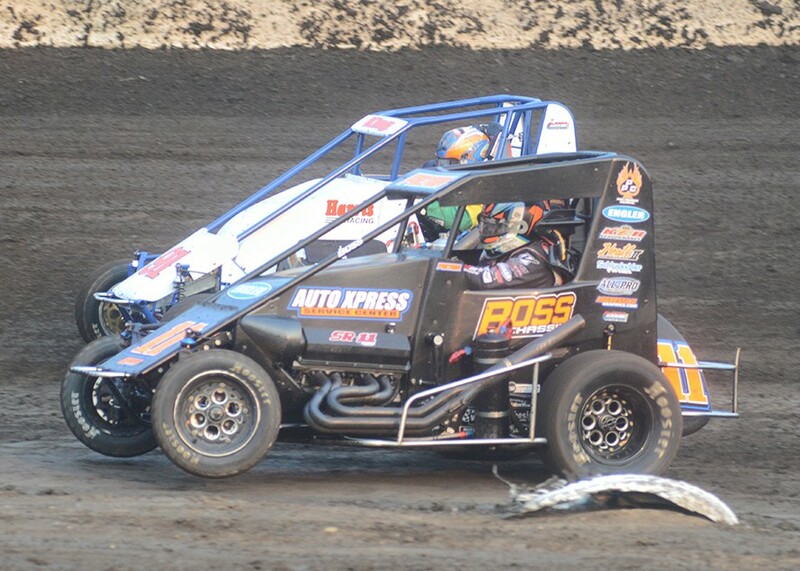 In a BOSS Chassis Midget we had Andrew Felker, Austin Brown, Darren Hagen, Danny Frye, and Kyle Schuett running. In the heat races we have a second place finish by Schuett, a third by Hagen, two forth place finishes by Brown and Felker and a sixth place finish by Frye. Frye started seventh in the Simi and finished seventh one spot out of the transfer position, but Frye was got more comfortable in the car being his third night out this year with the car. With the rest of them locking in to the A-main we had Hagen going from seventh to third in his heat race to start in second place in the feature and also brought it home in second place. Felker started in the thirteenth position and was able to come up through the field and finish 3th. Next we had Brown that started in the twelfth position and would come through the field to finish fourth. Schuett would started tenth in the feature and finished in the eleventh position after being involved in a six car pileup in turn three. 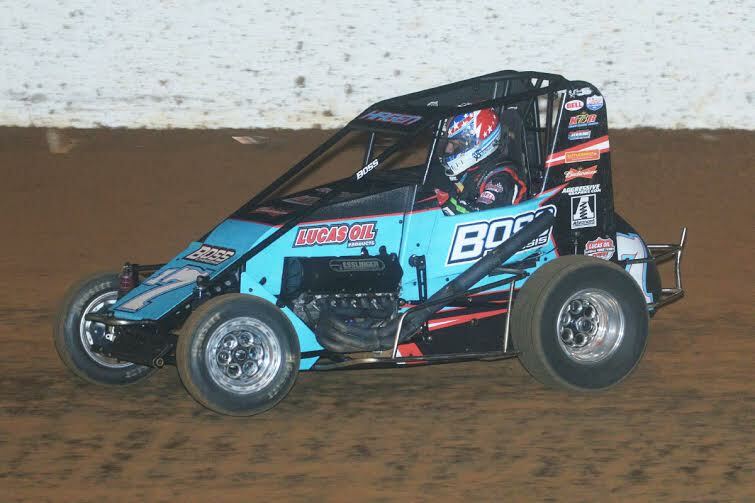 At the end of the night BOSS Chassis midget brought home a second, third, fourth and eleventh place finish. 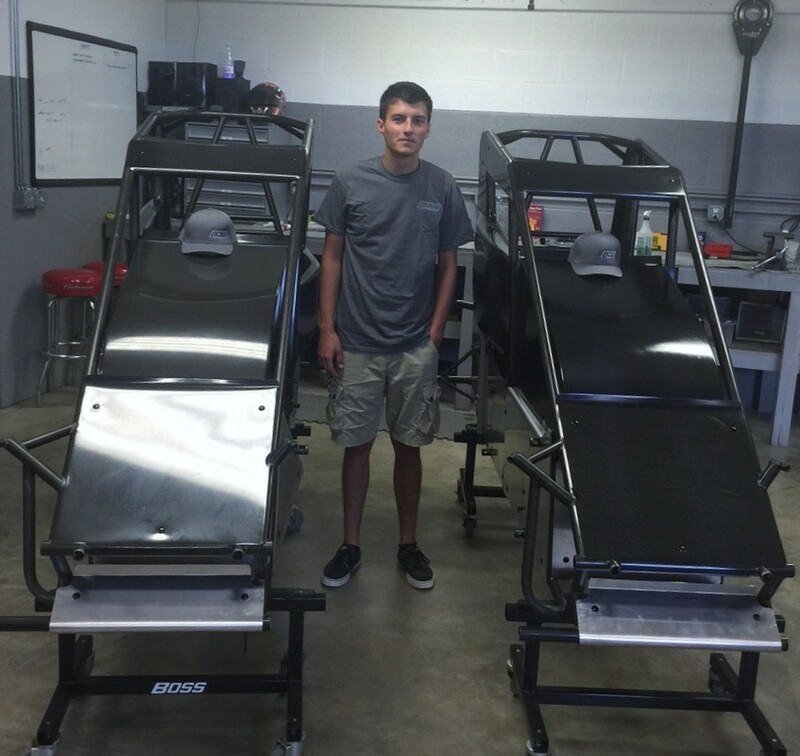 In the BOSS Chassis Micro we had three drives competing that were Austin Stewart, Dereck King, and Steven Finn. With Finn going from fifth to second in his heat race he started sixth in the feature but problems on the first lap would cause him to have to pull in finishing twenty-second. With King being a scratch for the heat race and Stewart being involved in an incident in his heat race they would both have to run a semi. Steward would start third in the first semi and would finish there earning him the twenty-second sarting position in the feature. King had a little more work to do starting ninth in the second semi and coming to the back to win the second semi earning him the eighteenth starting position. In the feature King was very fast working his way all the way up to the fourth position in twenty laps also Stewart was able to go from 21st to 15th. 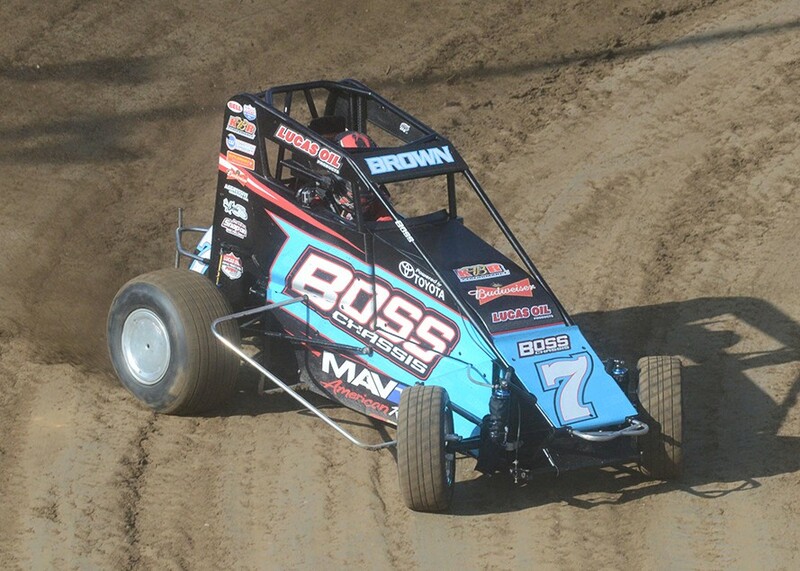 BOSS Chassis would like to thank all of the drivers for a great weekend. Andrew Felker doubled down with the POWRi Midgets for the final night of POWRi Freedom Fest at Macon Speedway. Felker fought hard to the front from a fifth place starting position to earn his second victory in the action-packed POWRi Lucas Oil National Midget Series feature event, while Benson steaked to his third POWRi Speedway Motors 600cc Outlaw Micro Series feature victory after starting on the outside front row, strengthening his points lead. Pole sitter Justin Peck took the early lead at the drop of the green flag as second place starter, Nick Knepper would bobble coming off turn four allowing the youngster from Monrovia, Indiana an early advantage. With two laps in the books, Brayton Lynch would stop the field as his flipping machine in turns three and four would bring out red flag conditions. He would be alright, but done for the rest of the event. Coming back to green with Peck leading the way, Justin Grant would miscalculate a slide job entering turn one and end up spun around, collecting a crowd of cars and blocking the track bringing out another red. Austin Brown, Isaac Chapple, Davey Camfield, and Jake Neuman were involved, with Isaac Chapple being the only car unable to continue. Coming back to green, Peck’s Esslinger-powered DRC/Duracoat entry would work to stay out front as Andrew Felker set up Daniel Robinson for the second position. Felker would officially take the second position on lap 10 and set his sights on the lead. Surging closer towards the front as Peck struggled to work his way through lap traffic, Felker would capitalize as Peck slid a lap car, coming in too hot on the cushion and lose just enough speed for Felker to take the lead on lap 14. Two laps later, Austin Brown would bring out the caution as his Toyota-powered BOSS Chassis would slow atop turns one and two with a flat right front. With the caution bunching the field up, Felker would surge ahead as Spencer Bayston closed in on Peck for the second position. On lap 19 Bayston would clear Peck with a slide job for second and get the caution he needed to challenge for the lead a lap later as Payton Pierce slowed off turn two. Coming back to green Ryan Robinson would get pinched into the cushion in turns one and two, sending the Keith Kunz/Curb-Agajanian Motorsports Toyota-powered Bullet flipping. Robinson would be alright, but his machine would find its way onto the business-end of the wrecker. Felker would again show the way back to green flag racing, with the Stanton SR-11-powered BOSS Chassis/ Sixty-Six Truck and Foreign Salvage entry pounding the cushion on the high banked 1/5th mile as the laps wound down. 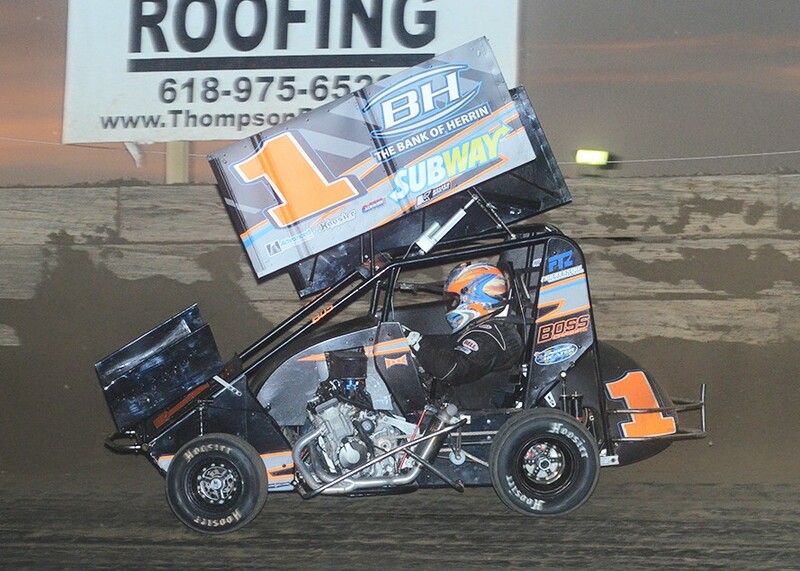 Bayston would hold onto second, as Darren Hagen mounted a tremendous charge from 17th to third in the Austin Brown/Esslinger-powered BOSS Chassis entry. Coming in fourth was Justin Peck and rounding out the top five was Daniel Robinson. 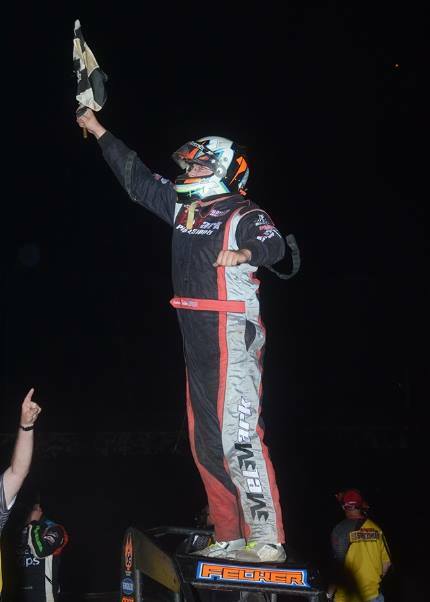 Macon, IL – Andrew Felker mastered lap traffic to dominate the thrilling first of POWRi Freedom Fest at Macon Speedway, ending a two year dry spell in POWRi Lucas Oil National Midget Series competition, and capturing his first victory of the 2015 season. Nathan Benson capitalized on a late-race yellow to steal the win away from Aryton Gennetten in a caution-filled POWRi Speedway Motors 600cc Outlaw Micro Series feature event. Pole-sitter Justin Grant of Piqua, Ohio took the early lead in the POWRi Lucas Oil National Midget Series feature event, holding off rookie Ryan Robinson at the stripe to lead lap one, while Andrew Felker began piloting the Stanton-Mopar, BOSS Chassis entry towards the front. On lap five, the field would slow as Kyle Schuett and Cole Fehr would bring out the caution, as their disabled machines sat at the bottom of turns one and two. Damage sustained to Schuett’s machine would be enough to sideline him for the remainder of the event, while Fehr would continue on. Grant would lead the field back to green flag racing, but Ryan Robinson would lose a spot as Felker capitalized on the restart and took second from the young rookie. One lap later, Thomas Meseraull would spin into the infield entering turn one, due to a mechanical failure. Meseraull’s evening would come to an end, as the 5ive-6ix Inc., Great Clips Racing entry would be parked for the rest of the feature. Grant would again show the way as the field resume racing, this time with Felker in tow. It wouldn’t be until lap 10 that Felker would be able to pounce on Grant for the lead, but when he struck, Felker’s Stanton-Mopar, BOSS Chassis entry set its sights on stretching out the lead and reeling in lap traffic. As the laps wound down, Felker methodically worked his way through traffic and held off a late race charge from second place finisher Darren Hagen. Justin Grant brought home third with Spencer Bayston coming in fourth. Ryan Robinson rounded out the top five. Darren will be back behind the wheel this coming weekend at Fayette County Speedway in Brownstown, Illinois on Friday, May 15th and Macon Speedway in Macon, Illinois on Saturday, May 16th. For more information on Darren, please visit his website at http://www.darrenhagen.net, follow him on twitter at http://www.twitter.com/D_hagen, and “like” his Facebook page at http://www.facebook.com/darrenhagenracing.